Bar manager Moe Hessen of City Catering Company in South Lake Union created this bracing beverage using Brennivín, an unsweetened Icelandic schnapps, with Chambord, lime juice, and a garnish of local mint and grapefruit. Jack Hilton of Tuxedos and Tennis Shoes Catering and Events presents a fresh twist on the classic French 75. 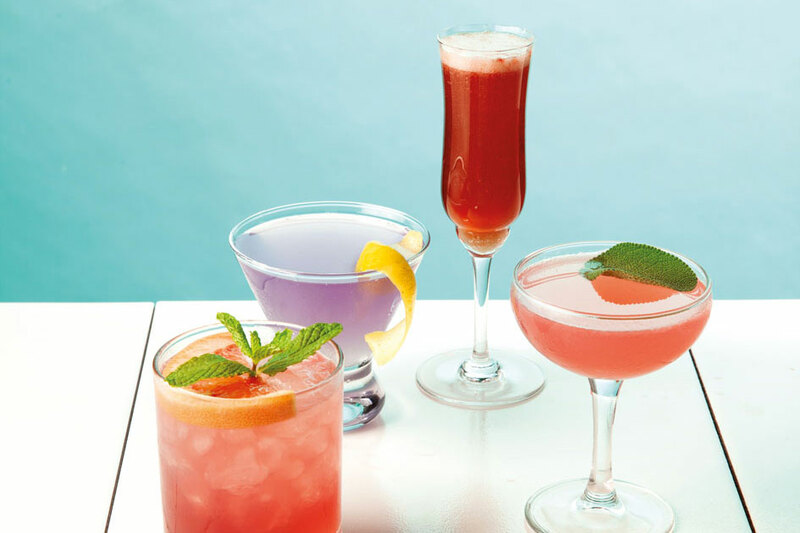 His version includes lavender simple syrup, a float of sparkling wine from Walla Walla’s Waterbrook Winery and Empress 1908 gin, which turns pink with the addition of a splash of lemon juice. Lisa Dupar of Redmond-based Lisa Dupar Catering whipped up this berry-hued cocktail using muddled strawberries, sloe gin and float of sparkling rosé. Ravishing Radish Catering on First Hill combines gin from Seattle-based Oola Distillery with cucumber and sage infused simple syrup, cranberry juice and lime juice for a tart and refreshing pink libation.